The Robbery Squad is investigating a Bank Robbery that occurred in Valley Stream on Wednesday, December 04, 2013 at 11:10 A.M.
Valley Stream, NY - December 4th, 2013 - The Robbery Squad is investigating a Bank Robbery that occurred in Valley Stream on Wednesday, December 04, 2013 at 11:10 A.M. According to detectives, an unknown male black subject, described as 20 to 30 years of age, 5’08” tall, beard, wearing a black winter hat and black jacket entered the TD Bank at 275 West Merrick Road and presented a demand note to a teller. After obtaining an undetermined amount of U.S. currency the subject fled the bank on foot northbound on Central Avenue. No injuries were reported and there were 9 employees and 4 customers present at the time of the robbery. 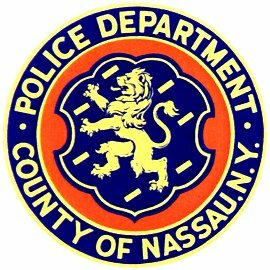 Subject: LongIsland.com - Your Name sent you Article details of "NCPD Crime Alert: Man Wanted for Bank Robbery in Valley Stream"